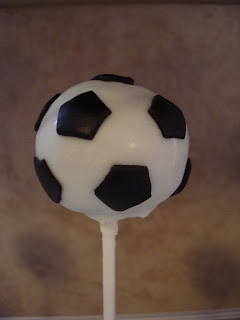 These soccer balls were made with chocolate cake, white chocolate and black marshmallow fondant. They were very tasty with the fondant added on! Sooo cute...how did you do the black part of it? Oh, these are adorable!! 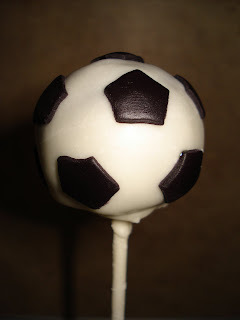 The World Cup is around the corner, and I think my husband would love them!